Today an article of mine that included reviews of recent crime thrillers from two New Zealand-based writers, Paul Cleave and Neil Cross, was published in the print issue of NZLawyer magazine (issue 136, 14 May 2010). NZLawyer is the independent magazine of the New Zealand legal profession - distributed to thousands of lawyers, judges, law professors and politicians around New Zealand every second Friday. I am reprinting the article/reviews here for your information (since unless you are a Kiwi lawyer, judge or politician, you're unlikely to have access to the print version of NZLawyer magazine - and the review section articles generally aren't placed online). Neil Cross is appearing at next week's Sydney Writers Festival, while Paul Cleave is appearing at next month's Theakston's Old Peculier Crime Writing Festival in Harrogate, England. Crime fiction has come a long way (baby) since it was equated purely with ‘detective fiction’ – a literary genre whose birth is generally credited to Edgar Allan Poe’s short stories starring C. Auguste Dupin, more than 150 years ago. While there is still a (very strong and popular) place nowadays for both the classics and the modern-day descendants of both British-style consulting detectives like Sherlock Holmes and Hercule Poirot, and American ‘hard-boiled’ private eyes like Phillip Marlowe and Sam Spade, crime fiction has grown to encompass much more than just detective stories. Crime fiction can stretch and intertwine with the likes of literary novels, horror stories, comedy and satire, and ‘social’ novels addressing big issues and changes in society itself. Stories large and small, light and dark, funny or gory, entertaining and thought provoking, breezy or heavyweight (and many combinations) can now all be found on the ‘crime and thriller’ shelves at your local bookstore or library. Authors the world over are penning stories of high quality that, while still centred on or influenced heavily by crime, bring so much more to the table than just finding a killer or closing a case. In the past couple of months, two acclaimed New Zealand-based authors whose stories don’t centre on policemen or private eyes, have released new books that tread the (at times uncomfortable) darker edge of crime fiction. By Paul Cleave (Random House, 2010)Christchurch novelist Paul Cleave doesn’t write boring stories, that’s for sure. His taut tales told through the eyes of deeply troubled ‘heroes’ have broken the mould when it comes to local crime and thriller writing, becoming huge international bestsellers in continental Europe. His debut The Cleaner was the biggest-selling crime/thriller novel for Amazon Germany in 2007, and on its release last year the German translation of this third thriller, Cemetery Lake, jumped straight to the number two spot overall, just behind Dan Brown’s The Lost Symbol, and ahead of the Stieg Larsson trilogy. Down this way, we’ve been a little slower on the uptake, but with the release of Blood Men, Cleave’s fourth dark thriller, local readers have another chance to find out why the young man from Christchurch is being read and praised by the likes of Lee Child, John Connolly, Tess Gerritsen, Mark Billingham, and other international heavyweights, and why he will soon be launched in the key US market, a rare feat for a New Zealand writer. In Blood Men, Edward Hunter is a happily married family man with a great life, but a very dark past; he’s the son of a notorious serial killer who’s been in prison for 20 years, and will never be coming out. The son of a man of blood. When tragedy strikes his family, Edward suddenly needs the help of the man he’s spent his entire life distancing himself from, and trying to prove he’s nothing like. But as things spiral out of control, Edward begins to hear his own dark inner voice, and begins to fear he’s destined to become a man of blood, just like his father. In terms of writing, Cleave’s prose crackles with freshness and energy. Sporadic moments of brutal violence may be too much for some who prefer mysteries of the Christie-esque ‘cosy’ style, but those who can handle grittier crime will uncover a top-notch tale. Cleave masterfully mixes compelling characters, sly humour, a taut plotline with enough tension and twists to keep the pages whirring, and a well-evoked, if somewhat malevolent, version of Christchurch. 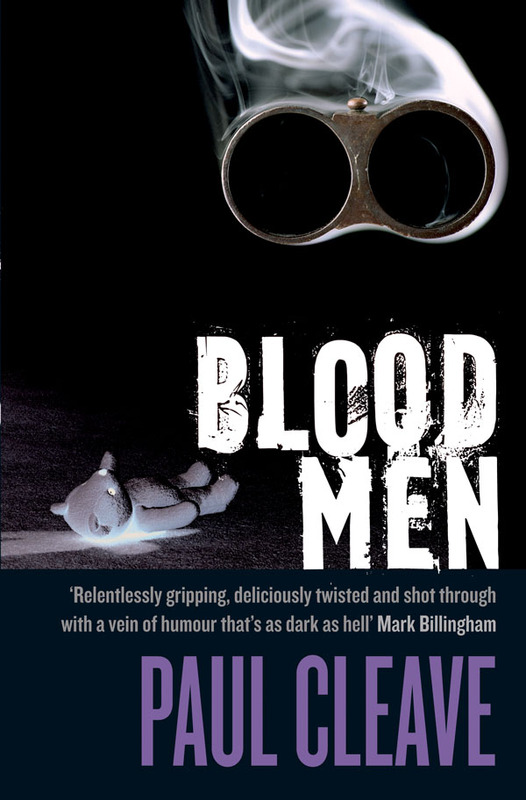 With Blood Men, Cleave shows he not only stacks up with, but in fact betters, many of the big-name international crime and thriller bestsellers that Kiwi readers buy in droves. Perhaps it’s time we better recognised the budding star in our own midst. 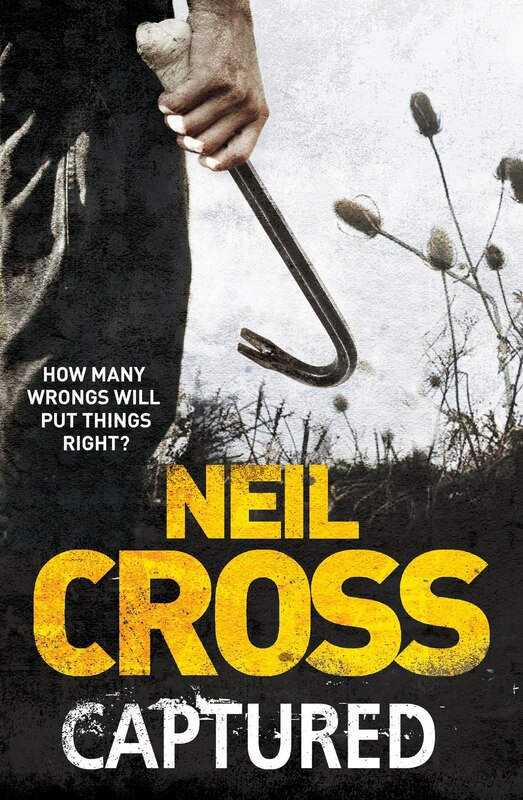 By Neil Cross (Simon & Schuster, 2010)While Cleave is a born-and-bred Cantabrian setting his absorbing if twisted tales locally, Wellington-based novelist Neil Cross is a transplanted Brit who still sets his own dark psychological thrillers back in his home country. In fact, from his family home in the suburbs of our capital city, Cross also writes television dramas for the BBC (he was the lead writer for recent seasons of spy drama Spooks, and is the creator of the upcoming detective series Luther, starring Idris Alba from The Wire). Released in New Zealand earlier this month, Cross’s latest novel Captured contains several of the ingredients that earned him deserved acclaim (including a Booker longlisting) for his previous books: seemingly ordinary but flawed characters thrust into emotionally harrowing situations; menace lurking beneath bleak settings; crisp and spare prose; situations quickly spiralling horrendously out of control; and occasional literary flourishes. “Kenny wrote the list because he was dying,” begins Captured. The list in question contains four names that the main character, a painter living in a remote cottage, feels he’s let down in some way during his life: his ex-wife; two strangers who crossed his path years before; and a childhood best friend. Determined to put things right with each of them before he shuffles off his mortal coil, Kenny then discovers that Callie Barton, the young girl who showed an awkward Kenny much-needed kindness when they were kids, has gone missing. Although Callie’s then-husband denied any involvement, and the police eventually stopped digging, Kenny believes he’s hiding something. With time running out, Kenny decides to take matters into his own hands, and use any means necessary to get to the truth – unwittingly bringing danger down on not only himself but the few other people that are close to the dying artist. What do you think of my article/reviews? Have you read any of Paul Cleave or Neil Cross's books? Do you like darker psychological thrillers? Do you like the sound of BLOOD MEN and/or CAPTURED? Thoughts and comments welcome. Craig - Superb post. I look forward to read both novels.